Green sidewalks are those broad walkways, at least two meters wide, in which a strip of ground is totally or partially covered by vegetation. 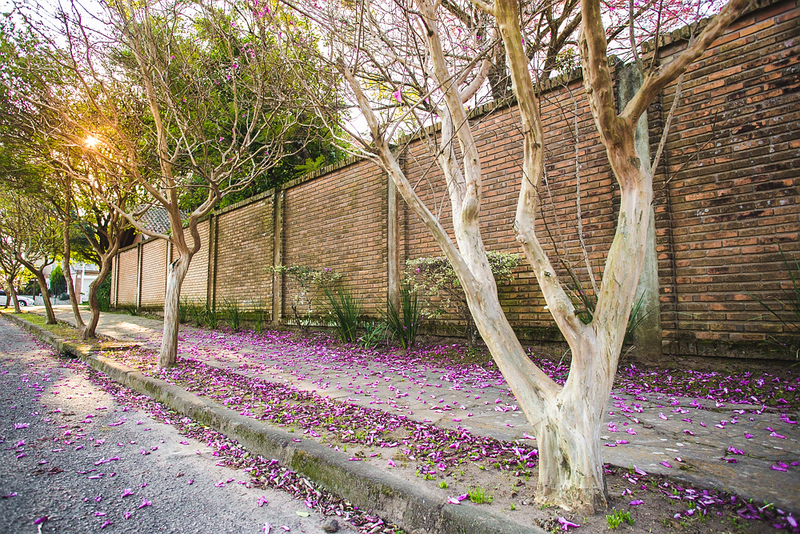 Those who walk through these leafy paths might not notice, but, besides being pretty, they also work silently to avoid floods, reduce heat islands and protect pedestrians. “Green strips allow the infiltration of rainwater, thanks to the ground’s permeability, and help lower the ambient temperature,” explains the architect Anderson Santos. “They also create a barrier between cars and people, lowering the risk of accidents.” But all of this can only happen if the project is well executed. 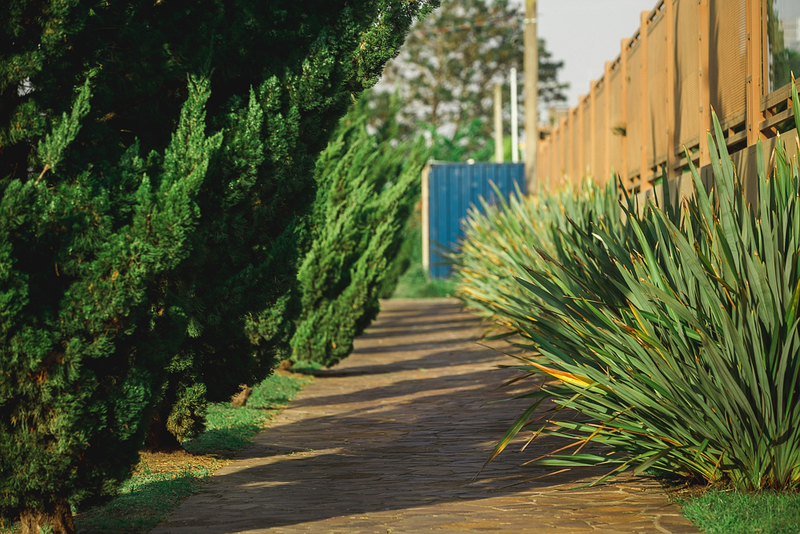 A series of laws determines how a green sidewalk should be built, setting the dimensions, the type of material, and the permissable modifications of the space. All the green space must be at the same level as the ground, without walls or dividers, to allow rainwater to drain. 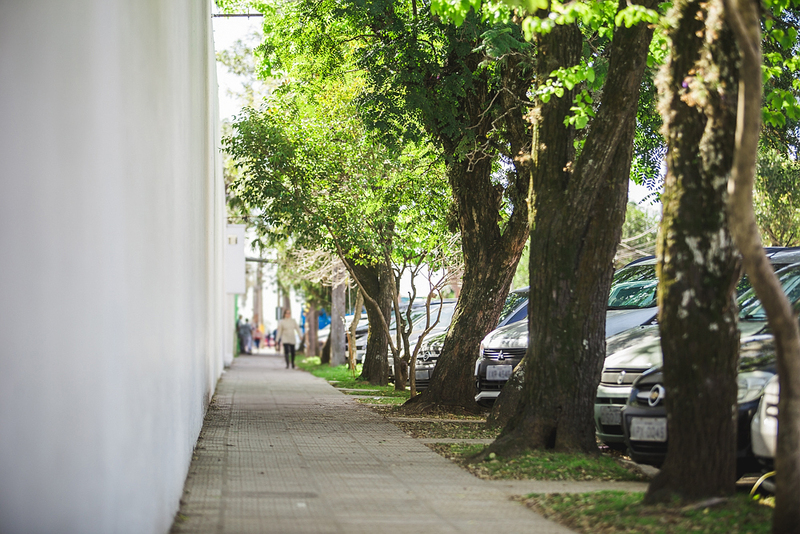 São Paulo’s legislation states that walkways can be greened while leaving at least 1.2 meters for free movement. New construction must already take these walkways into account in their design. “Homeowners who want to retrofit their sidewalk don’t need to ask for authorization from the city, as long as their plan respects local legislation,” states Anderson Santos. The teacher knows what he’s talking about. The choice of trees and bushes to use in public pathways really should follow certain criteria, like not having thorns, so as not to hurt pedestrians, nor a low crown, which gets in the way of traffic. 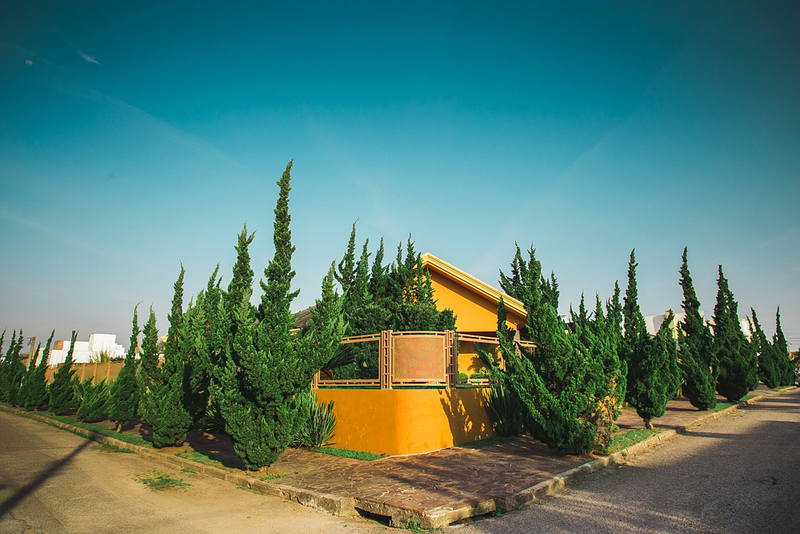 “The composition of the vegetation in a landscape should be planned considering the urban landscape, climate, solar orientation, local architecture,” explains the architect and landscaper Letícia Grieco. “Normally, one creates a mix of native trees, bushes, grasses and flowers.” The maintenance of these spaces is simple, requiring only occasional watering and trimming. When he had the idea of building the green sidewalk in front of his house, Freitag wanted to make the area more pleasant for those walked there. But there was also an economic motivation. 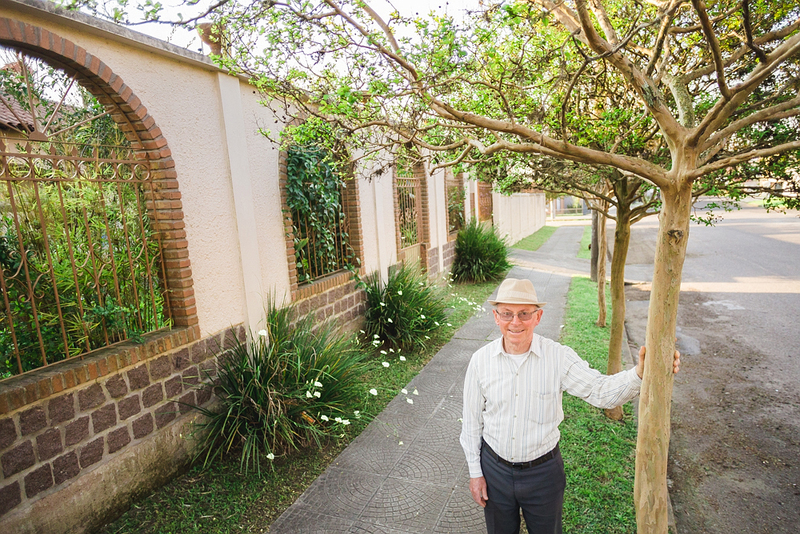 “Thinking about cutting costs, we used concrete only in the middle of the walkway, and left 50 centimeters on either side with green grass, improving the water flow for the trees we planted on the sidewalk,” he explains.